Halloween is almost here, which means that spooktacular activities are popping up all around the Colorado Springs area. From the Englewood CO condos, these ten events are just a short distance away. Here’s what you can look forward to in over the next week and half. The Denver Botanic Gardens’ corn maze is still open and will be until October 28th. You can wind your way through acres of corn with illuminated bridges on Fridays and Saturdays from 10am-6pm, as well as Sundays from 10am-5pm. The cost ranges from $9-14, with prices varying for children, seniors, and military members. Come back at night to relive this attraction in the After Dark Corn Maze. As you wind your way through the field, all you have to pierce the pitch black of night is a glowstick lighting your path. Good luck! This scream park is the largest in Colorado. Located at the infamous Riverdale Road in Thornton, visitors can work their way through this terrifying location’s four haunted attraction. Originally a 30-acre corn field, the company has transformed this farm into a fright you won’t soon forget. 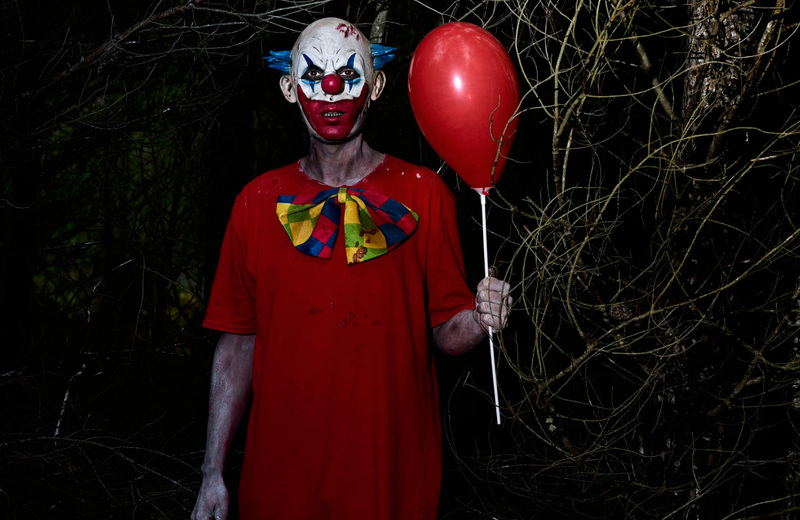 Haunted Field of Screams remains open until Halloween day, with tickets starting at $39.99. 13th Floor Entertainment Group, the masterminds behind one of the country’s most horrifying attraction, brings two more frightful delights into the mix this year. 13th Floor, the largest haunted house in Denver, remains their star attraction. Featured on both American Haunts and the Travel Channel, this top-rates scare takes you through 13 floors of pure terror. City of the Dead takes you through the streets of a long-forgotten town now inhabited by the undead. Asylum features a series of deranged patients in an insane asylum, featuring an open area to explore filled with horrific sights. Both haunted houses are praised by reviewers from around the country. Tickets start at $19.99 with special discounts online. You can attend all three anytime until the 31st of the month. You can find this cult classic acted out live at the Mountain Rep Theater in Cripple Creek. Tickets range from $18-21, and showings will last until November 3rd. Guests are encouraged to dress up. Victorian Horrors takes place in the reportedly haunted Molly Brown House Museum. From 6-9pm, enjoy frightening tales from classic authors like Edgar Allen Poe and Mary Shelley. Each part od the mansion features a different performance. You can take part in this horror-themed literary night from now until the 27th. Tickets cost $20, which you can buy online. There are several time slots to chose from, with each performance taking place in 15-minute time slots. The Denver Botanical Gardens hosts after dark tours filled with haunted stories and history of what used to be called The Boneyard. You’ll hear actual ghost stories from the staff, supernatural encounters from overnight security, and access to the Waring House Mansion (which is never open to the public). You can take part this chilling evening until October 28th. The cost of admission ranges from $27-30 with tickets available online. One last note, this attraction is not recommended for children under the age of 12. Peak 31 offers a night filled with live music, DJs, and entertainment. Take part in the costume contests while enjoying delicious cocktails and food. Tickets range from $15-25, including a $30 ticket for after party fun. This event takes place on October 26th. On October 27th, join Manitou Springs as they kick off this annual event with a parade at noon, followed by 70 coffin racing teams soaring down Manitou Avenue. Best Emma, Entourage, and more categories will all be awarded trophies. Afterwards, enjoy live music at the afterparty in Soda Springs Park. Elev8 Glass Gallery is celebrating their three year mark with an enormous Halloween bash on October 27th at Sunshine Studios. This live glassblowing event features live music from Eternal Temples, the Knightbeats, BLNKT and more. Games, movies, and vendors will all be in abundance (not to mention drinks), and the venue will be filled with Halloween-themed fun. Tickets are $12 at the door or $10 online in advance. Join Machine Gun Kelly and Juice WRLD on October 27th at the Red Rocks Amphitheatre for a concert you won’t soon forget. Tickets are available online, ranging from $49.95 to $99.95. Other acts include THEY, DJ Esco, London Richards, Reo Cragun, and DubXX. Head over to Cherokee Ranch & Castle on October 28th for a family friendly Halloween celebration. Candy, food, drinks, and a haunting good time are in store. This event costs $10, and lasts from 1-4:30pm. The celebration takes place outside, so dress warm! No matter which event you choose to attend, there’s nothing like coming home to place that’s uniquely yours. The Palmer offers a complete shift in suburban apartment design. Balancing the delicate tension between art and tech, these luxuriously rustic homes are a new aesthetic statement in the mountain city of Denver, Colorado. Set on 9,5 acres of beautifully maintained landscaping, get togethers and impromptu barbeques have never been better. Each spacious home comes complete with the finest in modern furnishings. Quartz countertops meet stainless appliances, wide plank floor lead to walk-in closets, and large windows provide ample natural lighting. Paired with a host of carefully curated amenities ranging from a resort-style swimming pool with spa to an onsite golf simulator, the comforts of home reach a higher sense of living here at The Palmer. We invite you to experience live in Denver in an entirely new light. One that stands a contradiction, offering the best of both the modern age and decades past. The Palmer redesigns suburban apartments to create a one of a kind home. True to life. Yours. That’s The Palmer.